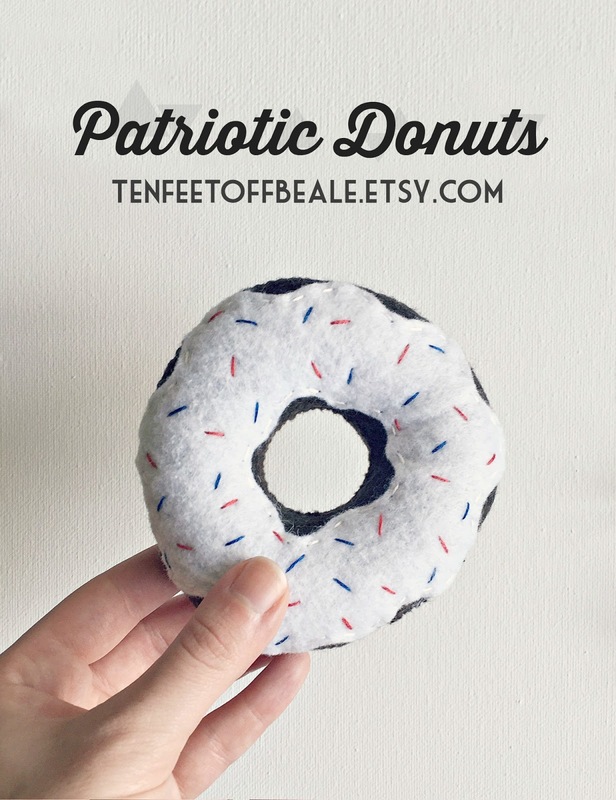 There's a special new donut now available in the Ten Feet Off Beale Etsy Shop... a Patriotic Donut! They will only be available through the summer and they make the perfect gifts for a thoughtful Fourth of July happy. There are play donuts for a child's play kitchen, catnip donuts for your four legged friends, and even tiny donut brooches that will add the perfect flair to any outfit this summer. Hint: I like to use the play donuts as decoration! I keep a cake stand on my kitchen table and fill it with donuts that go with the season. Check out the shop, let me know what you think, and what you'd like to see listed next!